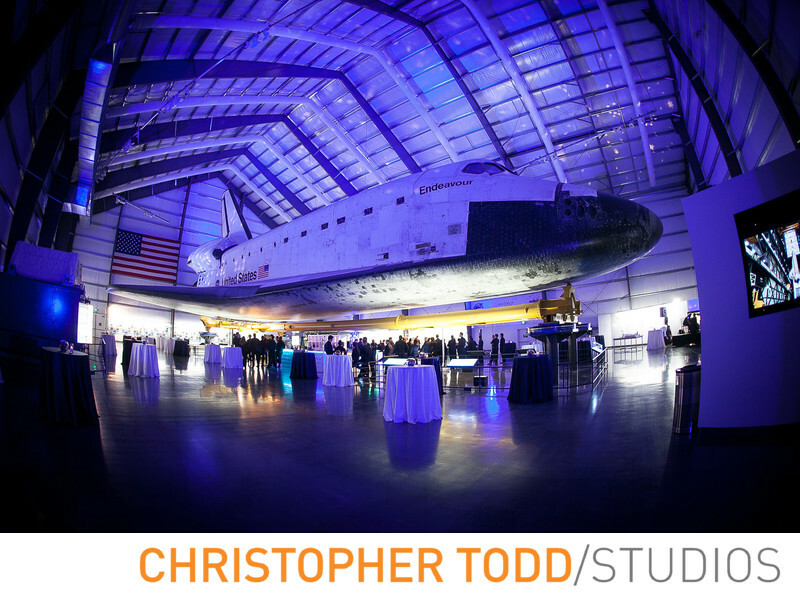 Guests mingle under The Space Shuttle Endeavor at the Los Angeles Science Centers business event. Photography by christopher TODD studios. 1/10; f/2.8; ISO 500; 15.0 mm.